Magento 2 Canada Post Shipping extension integrates Canada Post API with Magento 2 to provide your Canadian customers with most preferred shipping method in Canada. Customers can opt from multiple Canada post shipping methods. Shipping cost calculations based on rate type, container type and size. Allow or restrict shipping method for specific countries. Canada Post Shipping API is providing shipping facility from Canada to almost all around the world. It is most preferred shipping method by online Canadian shoppers. 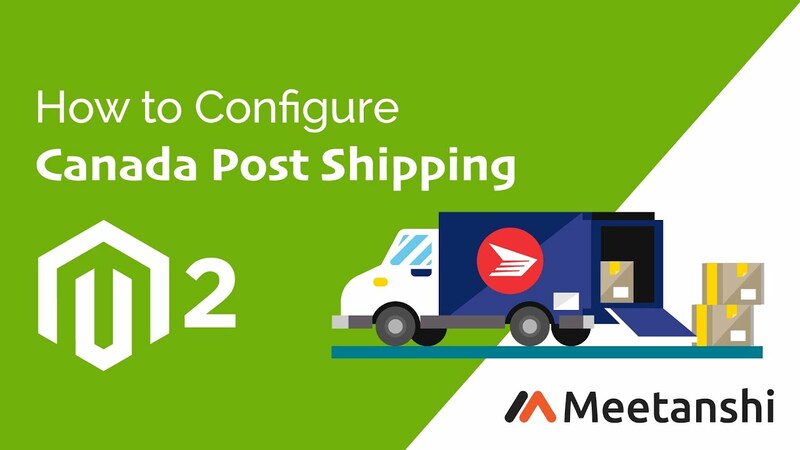 Magento 2 Canada Post Shipping extension by Meetanshi integrates Magento 2 with Canada Post Shipping API to auto calculate live shipping cost based on shipping origin and delivery destination. Canada Post records information like cost request, postal code, shipping label printing, cancellation, handling charges, pick-up & delivering timings, etc. and accurately calculates shipping costs based on this information. Option to enable or disable Canada post shipping method from the backend. All allowed multiple shipping methods from Canada post shown at checkout page for customers to choose. Set rate type, container type and size for accurate calculation of shipping costs. Option to select countries to allow shipping method in those specific countries. I can restrict shipping method for particular countries. Feature Rich Canada Post Shipping! 1.0.2 Made compatible with production API.